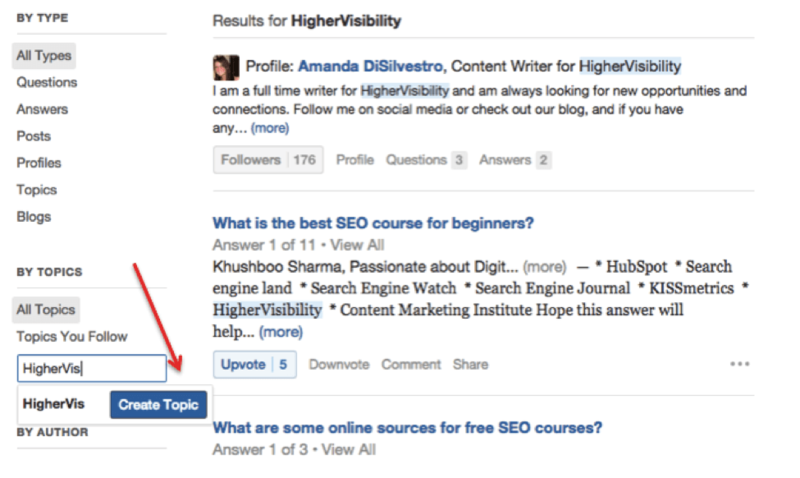 Quora is quickly becoming one of the top social networks to connect with a targeted audience as well as influencers. It has it all—a way to show credibility, a way to connect, a way to learn, etc.—so the sooner you can optimize your Quora account the better. There are different tactics you can use to help make sure you’re getting the most out of the network, but there are also different, small things you can do to your profile to help you stand out and even drive clicks to your website. 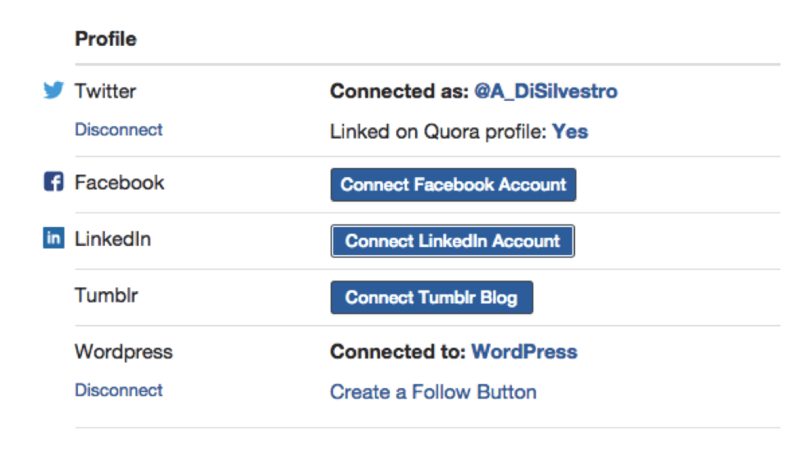 The best part: If you’re used to optimizing social networks, you’ll find that optimizing your profile here is a piece of cake. 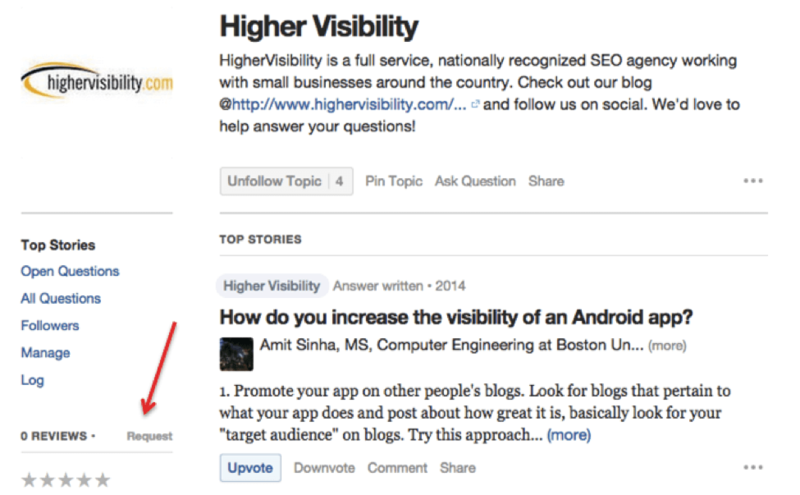 If you’re unsure how Quora works or what it can do for a small business in terms of social, I highly recommend visiting this article and setting up a profile. Once you browse around the site you’ll see that it’s pretty easy to understand and get started. 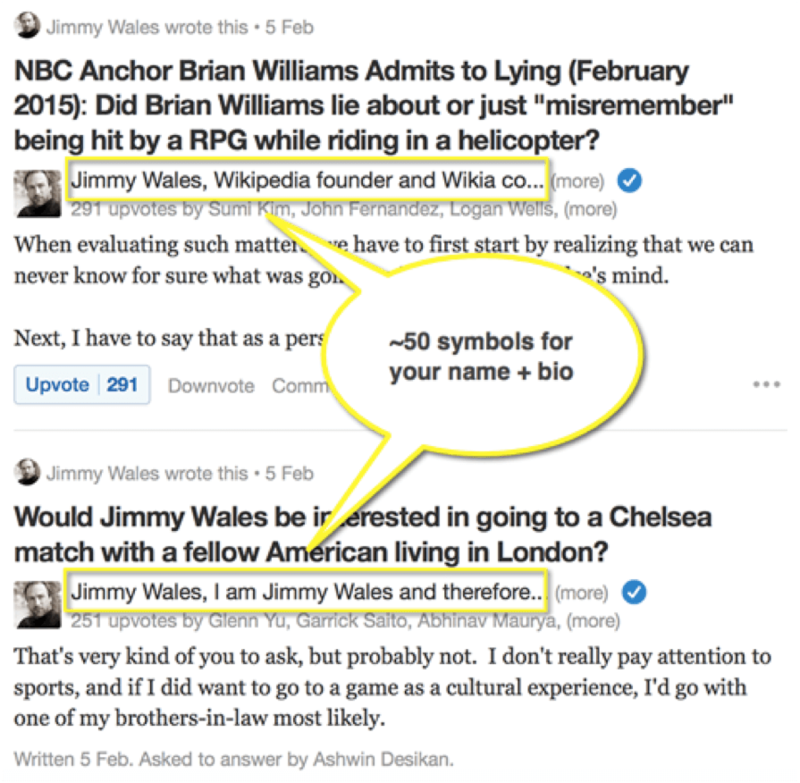 Quora will show your bio next to each question that you answer, so it’s important that your bio’s are optimized as much as possible. Although this won’t work for all companies, some individuals have found success by creating multiple bios so that the bio that is more relevant to the question will pop up when you answer. For example, if you plan on answering questions about SEO as well as design, you may want to create one bio for SEO and one for design so that you’re putting your best foot forward in the small amount of space you have to showcase your bio. This of course also means extra management, so make sure you’re up for the task before you go creating more than one account. As you can see, HigherVisibility is not yet a topic (although it is when searching for our company as two words, which you can check out here). Click “Create Topic” and you can get started. 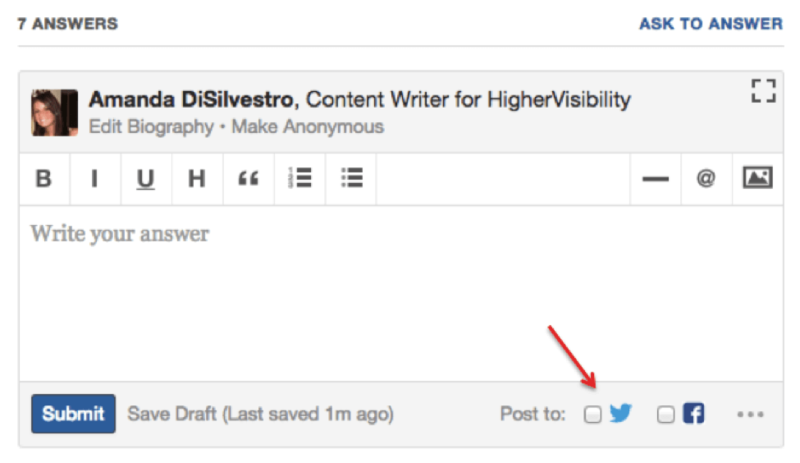 Once you click “Create Topic” you can then customize the topic. This means you should add a logo, description, and begin starting conversations about your brand, which brings us to the next thing you can do to optimize your brand. So this isn’t quite optimizing your profile, but it is a great way to use your profile to learn more about your readers and what’s popular. Every answer you provide will come with statistics of how many times that answer has been viewed, and if you click on “# views” then you can see how people are getting to those answers—your profile, through searching a topic, just browsing, etc. 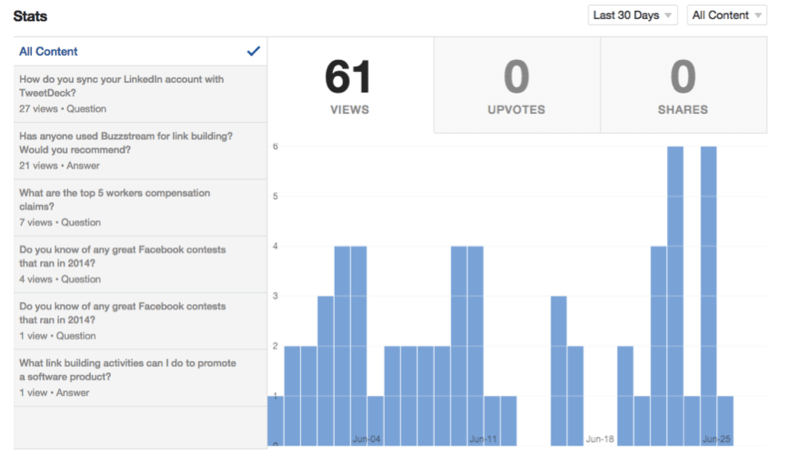 By using this information and visiting your personal views page at Quora.com/stats (shown below), you can see where you need to put your optimization efforts and spend more time to get the most benefits. Extra: It should go without saying, but part of optimizing for Quora is filling out every piece of information possible. This includes your areas of expertise, interests, schools you’ve attended, where you’re located, your past jobs, and more, as well as creating a full description and uploading a quality photo. As discussed above, the tips above are all about optimizing your profile; however there are many other ways that you can use Quora to your advantage as a small business. For example, you can ask your own questions and connect with influencers, use the tool for competitive research; follow questions to learn more about your industry, and more. Visit this article from Social Media Examiner for an in-depth look at some of these methods. Visit Quora.com to get started. 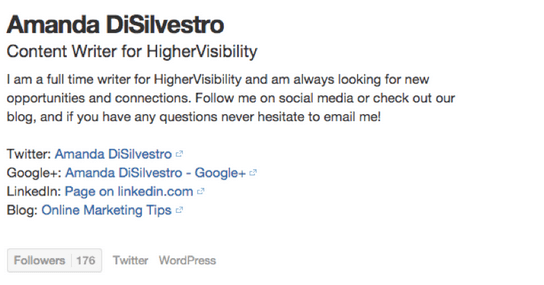 Do you have any more optimization tips for a Quora profile? Let us know how you use Quora and how you make the most of your profile in the comment section below.